Jumping, bat-twirling, pointing -- this kid does it all. Of the many supposed casualties of the Internet age (attention spans, privacy), one seems sadly certain: the long-form personal email correspondence. Fascinating article that I believe does point out clear differences that I've noticed in how younger people (my children, their friends, younger relatives, and others) think, learn and react having been exposed to this still relatively new online world in the last 15-20 years. Technology-driven losses in attention span are interfering with our ability to become deep and complex people. Good article. Bartolo is still out there winning ball games and that's amazing. At 42, and 100 pounds heavier than when he began pitching in the major leagues 213 wins ago, Bartolo Colon continues to confound. 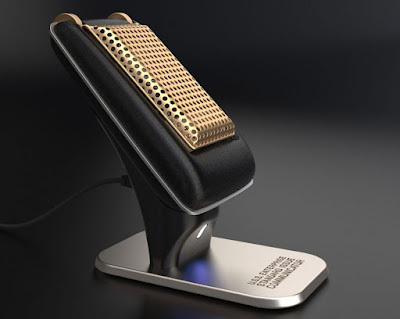 This Bluetooth handset looks like an original Star Trek communicator and will boldly go with any mobile device. I don't like Olive Garden and don't consider it real Italian food. Go to a genuine Italian restaurant in Little Italy in New York or San Francisco and you will taste the difference.